Practice your favourite tounge twister with the Tee of the Season. 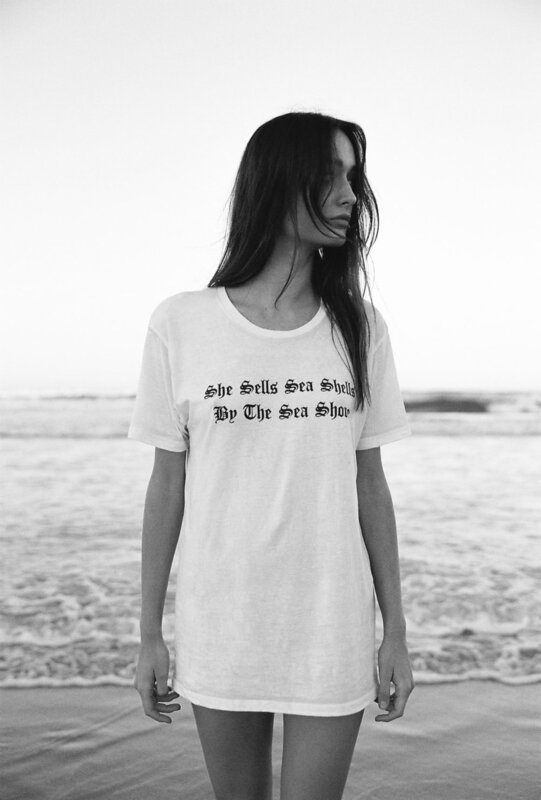 Relaxed boyfriend fit Tee with "She Sells Sea Shells by the Sea Shore" print at chest in darkest navy. Fabric is 100% Cotton. Printed in Australia. 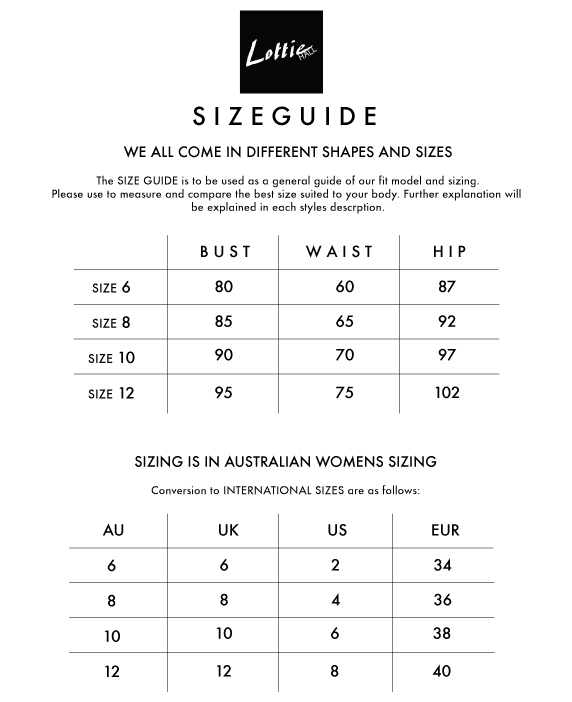 Fit is available in two sizes - SMALL ( appropriate for size 6-8 australian ) and MEDIUM ( appropriate for size 10-12 australian ). Model is Australian size 8 and wears size SMALL.